Jan Van Ord was a blond brute of a man who’d stop at nothing to get what he wanted. When he found Ellen he won her heart with a glance, her body with a touch. But he had to kill to posess her completely. His land bore heavy crops, harvested with the blood and sweat of his slaves. He knew no fear – for him all black men were weak and only a strong man could hate. But he sooned learned that every desperate man, white or black, is dangerous. That even his own wife wasn’t safe. That too much hatred could plunge a nation into bloody war. Written by Catherine Tracy. Published 1973 by World Distributors Ltd, Manchester. Well, well, well, this is a bit of a find. No sooner had I posted Image of Evil below than I come across this little slice of slave-trade salaciousness in the Trinity Hospice bookshop in Kensington. I searched for ‘Cameo Romance’ on the web, just to find out more about this series but, apart from my beloved Ace Cameo Gothics, there’s no mention of a Cameo Romance line from the UK at all, so I’m not sure if these were published as ‘straight’ romances or gothics. 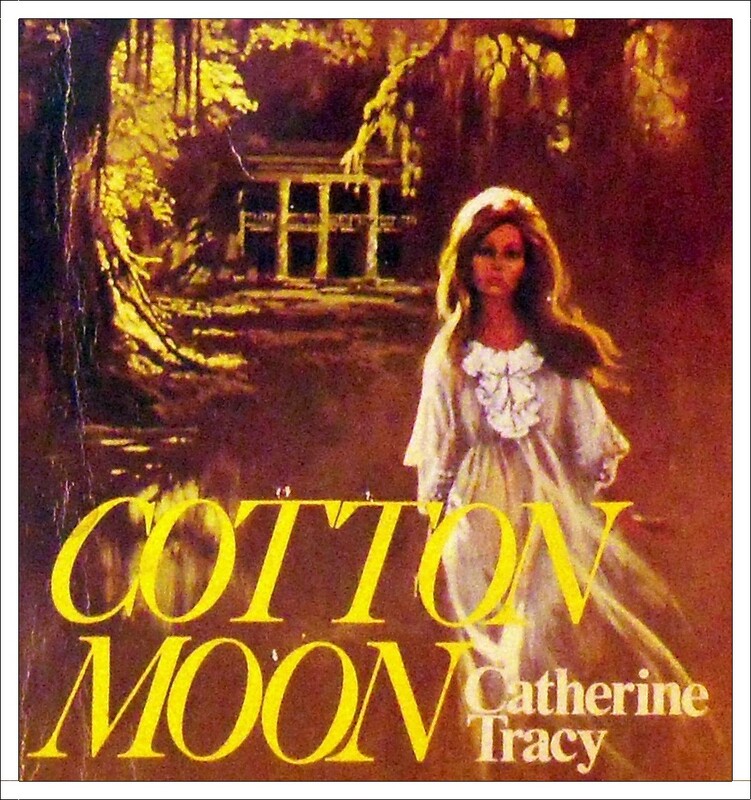 Though the rather fetching pink Cameo tag might suggest otherwise, there’s not much romantic about Cotton Moon – a quick flick through the pages revealing a twisted tale of randy old landowners and their innocent young brides getting all hot under the collar amidst a stormy backdrop of mistreated mistresses and sweatin’ slaves. Bonus points for the ending though – in the final chapter, our cruel yet irresistibly virile hero, Van Ord, finally realises it is Ellen who is the love of his life. So he strides across the plantation straight into her bedroom in order to declare his undying love for her. Alas, it is here he discovers our heroine has died. Alone. And unhappy. And that doesn’t happen in many contemporary romances – not even the gothic ones! 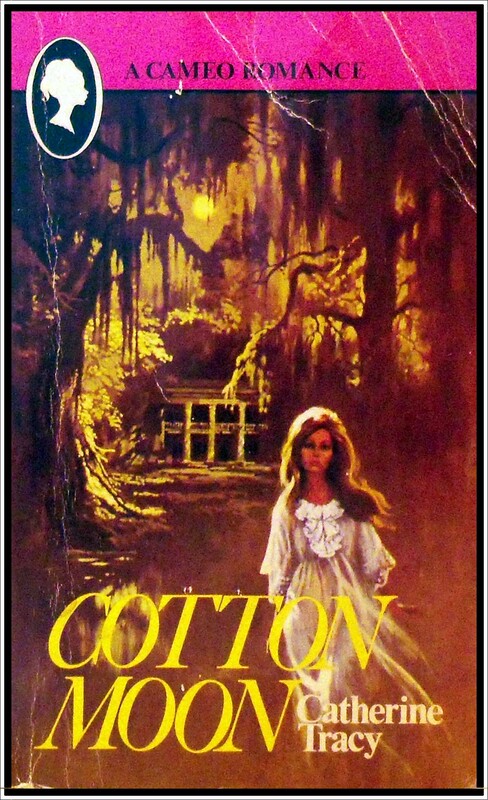 And a link to a much more gorgeous cover over at flikr is – HERE.